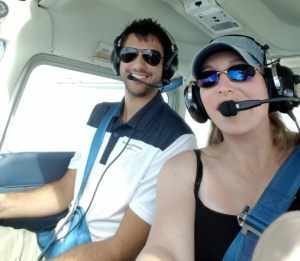 462 Runway Girl Network and the Passenger Experience - Airplane Geeks Podcast - The weekly audio podcast that explores and expands your passion for aviation. Aviation journalist Mary Kirby talks about the airline passenger experience. Also, ATC privatization, drones and wildfires, a new Air France airline targeted at Millennials, congressional action to address airline seat size and pitch, and airline revenue from fees and frequent flyer programs. Mary Kirby has covered the aviation industry for almost 20 years as both a journalist and an editor. 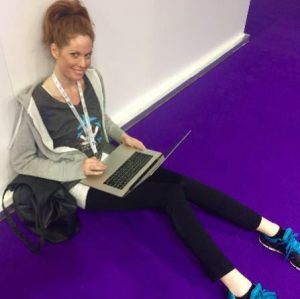 After working many years for Flightglobal, she launched Runway Girl Network, which delivers news and intelligence about the airline passenger experience industry, and also highlights the work and accomplishments of women in aviation. Runway Girl Network is a go-to site that encompasses a B2B2C model. Mary describes the objectives of Runway Girl Network and gives us the benefit of her knowledge concerning current airline passenger experience issues. Seat space, both width and pitch, continues to grow as a concern in the eyes of the flying public. We also talk about the job of aviation journalists today, and the role of the vocal passenger. Mary considers lessons learned from the Network and the need for increased diversity of gender and color among those writing about the passenger experience. We also look at the gap in coverage of the passenger experience from the perspective of those with disabilities or reduced mobility. Be sure to visit the Runway Girl Network website, follow the Network on Facebook and on Twitter at @RunwayGirl. Unauthorized drones have continued to fly into wildfire areas, sometimes halting aerial firefighting activities. The article explores some ways that drones could assist with fighting wildfires. In its press release [PDF] Air France describes Joon as a Millennial-focused carrier “aimed at a young working clientele whose lifestyles revolve around digital technology.” Air France plans to start operating medium-haul flights from Paris-Charles de Gaulle later this year, with long-haul flights in mid-2018. Rep. Steve Cohen (D-TN) introduced H.R.1467, the Safe Egress in Air Travel (SEAT) Act into the FAA reauthorization bill as an amendment. The amendment would ask the FAA to study evacuations and issue regulations for minimum safe-seat sizes. The annual study of airline ancillary revenues from IdeaWorks Company and Cartrawler, is out. For 2016, the big U.S. legacy airlines are the ones hauling in the most ancillary revenues. Nicki and her flight instructor. In May, we received an email from listener Nicki. She was asking our advice about starting flying lessons in her late 30s and making a possible career change into flying. Nicki enjoys flying and in college, her friends used to take her up and let her fly the plane. At the time, Nicki couldn’t afford flying lessons and even now it would be a stretch for her. Well, Nicki has started to take some steps and sent us a recording describing her progress so far. This entry was posted in Episodes and tagged ATC, drone, Joon, PaxEx, regulations on July 26, 2017 by maxflight.